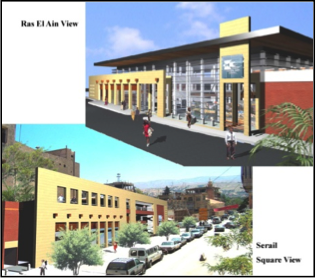 In 2006, the Council for Development and Reconstruction (CDR) awarded ACE the Contract for the engineering services and design for the Second Phase of the Cultural Heritage & Urban Development Project of Baalbeck Old City. important to the good functioning and the aesthetics of 4000 years old city's streets and public right of ways. • Beautification and landscaping the Ras Al Ain Public Park. • Provision of three parking areas, one located near the lebanese army barracks and another two on Ras Al Ain main road. 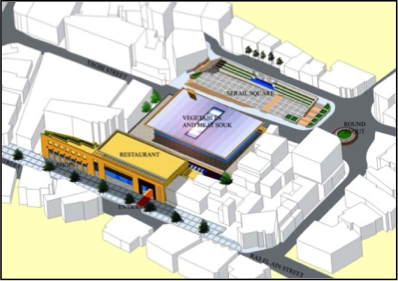 management facilities in addition to the upgrading of the public spaces and roads around the market area. The project will connect the touristic sites and the city in order to promote cultural tourism and stimulate the local economy. It will also revitalize the central commercial area, reorganize traffic across the city and improve visitors' serivces.